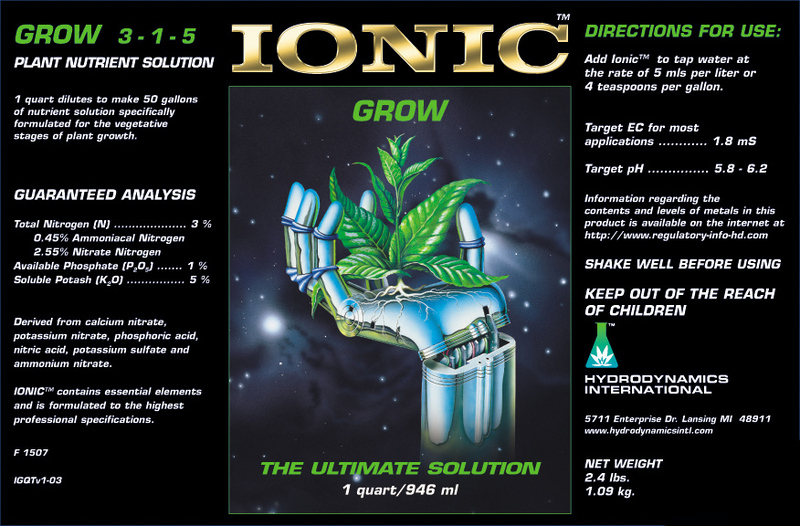 Ionic® Grow contains a full profile of the important essential elements that produce vigorous vegetative growth. 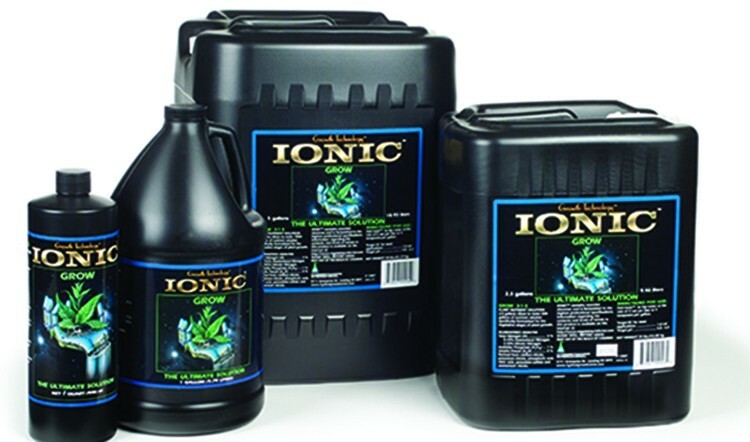 Specifically formulated for the vegetative stage of growing plants, Ionic® Grow delivers the essential elements to the roots of a plant in a more precise manner than all previous hydroponic formulations. It is designed to maximize the potential for vigorous vegetative growth in growing plants and during the vegetative cycle of flowering plants. The Ionic line is available in a variety of consumer and commercial sizes. 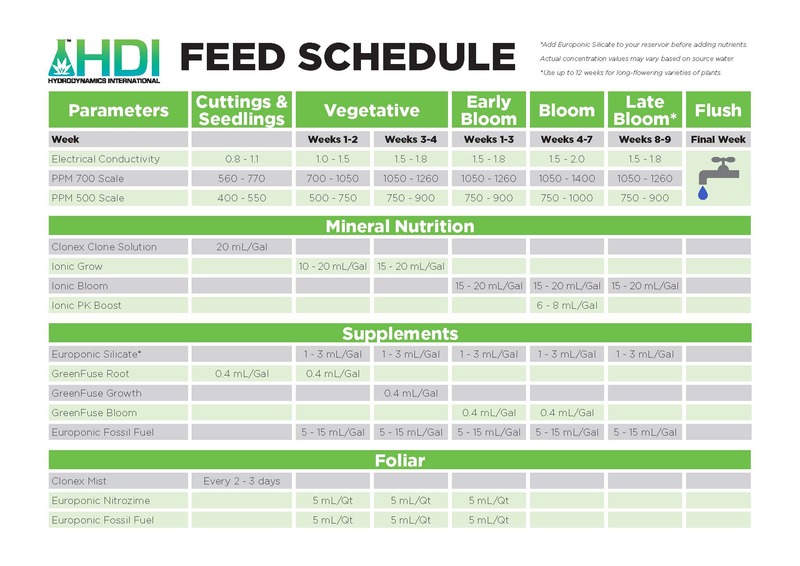 Use it with Ionic® Bloom and Ionic® PK Boost for all stages of plant growth. 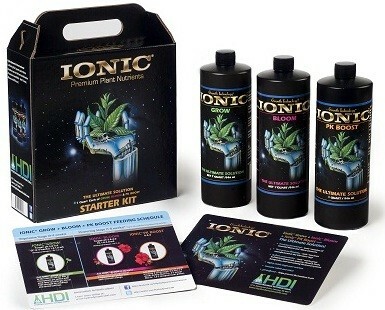 Hydroponics – Add Ionic® Grow to tap water at the rate of 5ml per liter or 4 teaspoons per gallon. One quart dilutes to make 50 gallons of nutrient solution specifically formulated for the vegetative stages of plant growth.